Transforming the “Heart of the Community"
Road Closings and Traffic Changes Necessary to Create Rose Run Park. 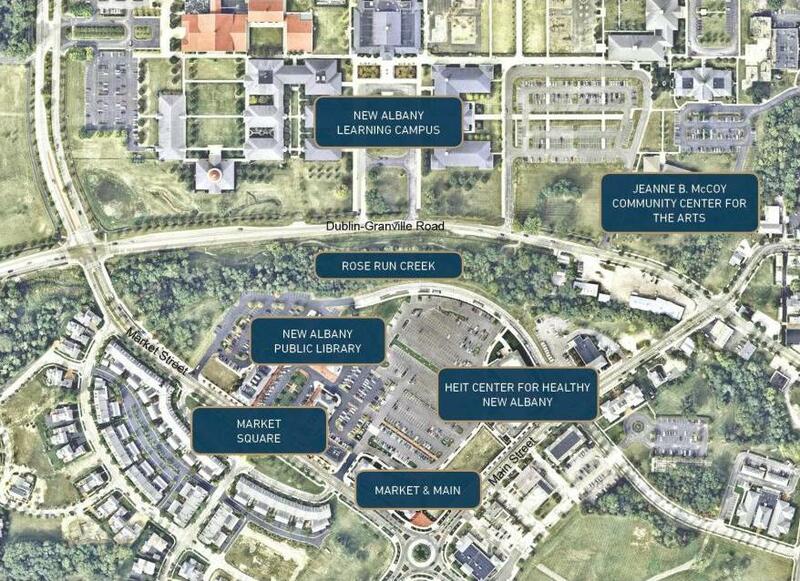 From New Albany’s Market Square and its 30+ miles of leisure trails to its pedestrian-friendly neighborhoods, New Albany prides itself on the many natural and planned amenities designed to create a sense of community that will foster connections among people and with the environment. For nearly 20 years, the city has aspired to transform Rose Run into the recreational backbone to the Village Center and “the physical, visual and emotional heart of the community,” according to the 2003 Rose Run Greenway Corridor Study. Today, the area is a barrier between Market Square and the Learning Campus, raising safety concerns for school children and limiting access for residents and visitors. 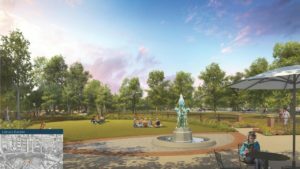 When completed in 2019, it will preserve green space in the heart of New Albany, create a civic green for large events, attract more residents, employees and visitors to the city’s parks, trails and businesses, improve safety for school children crossing Dublin Granville Road and spur private development. North of Dublin-Granville Road, a terraced wall of limestone and grass will provide casual seating. To the south, a large plaza with granite pavers will increase the seating area. For larger events, planners envision closing the road to create additional capacity. Traffic will be reduced to two lanes with crosswalks between the school campus and the park. The corridor will feature the first half mile of the Velo Loop, a protected bike lane to connect the city’s leisure trails. 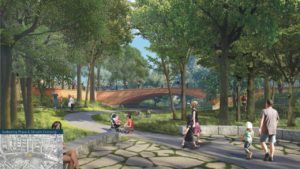 A pedestrian bridge, 60 feet long and 30 feet wide, with decorative brick, cast iron guardrails, lighting and seating will provide an attractive and safe pedestrian pathway across the stream bed. The decorative brick will continue south of the bridge, forming a promenade from the bridge to Market Square and the parking lot. At the rear of the Columbus Metropolitan Library’s New Albany branch a library garden with a small seating area and lawn will offer a quiet and scenic spot to read a book as well as a place for outdoor library activities, picnics and small concerts. A walk lined with birch trees will connect the library garden to the natural creek area. Removal of invasive plant species, stream restoration and new plantings will create a natural play area for children to explore. Kid-friendly focal points will add an element of fun and recreation. 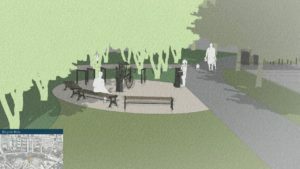 Additionally, the park will feature a leisure trail that can be accessed from various locations. 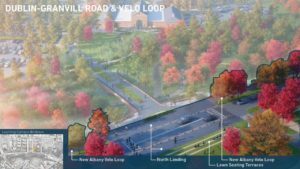 With the eventual creation of the five-mile Velo Loop around the city center, the popularity of cycling among residents and events like Pelotonia, a bike hub or fix-it station to the east of the promenade will allow cyclists to make repairs, inflate tires, fill water bottles and take a break. 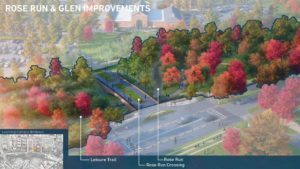 Construction for Rose Run Park will begin in late summer 2018 and should be complete at the end of 2019. Last summer, in preparation for construction, crews cleared dead trees, invasive plant species and brush to open up the space and make it more visible and safe. The taller healthy trees were left to form a tree canopy and shade. 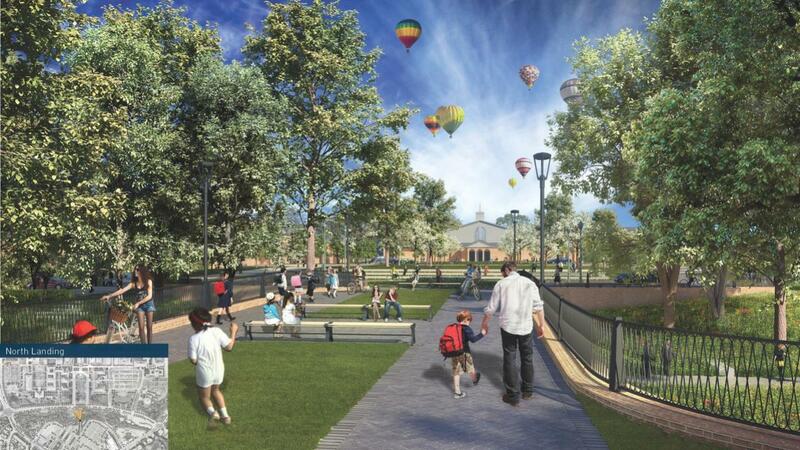 View additional project highlights and renderings for Rose Run Park.